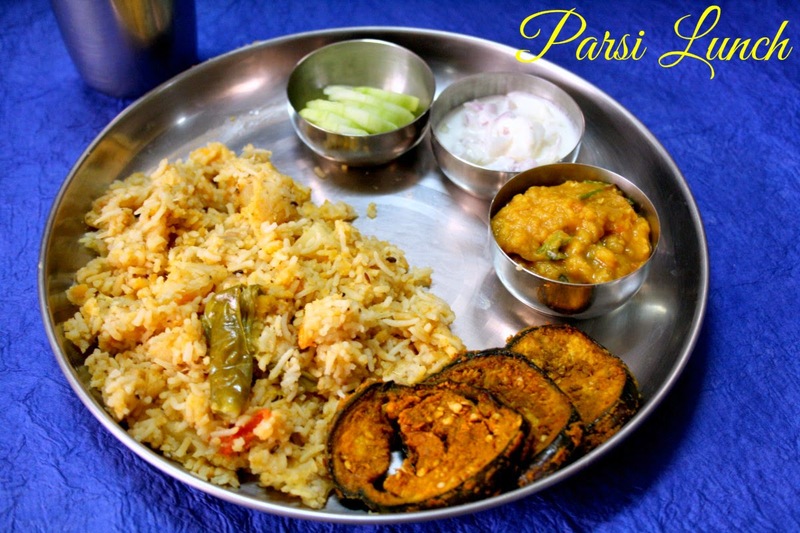 For the final day of cooking under Parsi Cuisine, I am sharing their style of making Khichri. I had made all these dishes for lunch and was planning on sharing together. However I ended up sharing it separately. 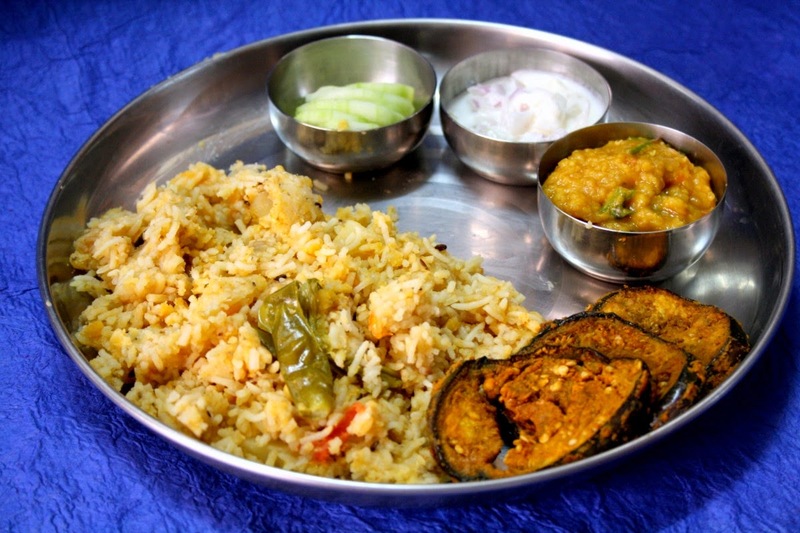 This was our vegetarian lunch and Hubby dear loved the Khichri. Though the method sort of looked similar, its different as there is a mix use of spices with dal. The cooking style that I mostly follow tends towards using spices with dried legumes or certain tubers etc and all these dals are mostly cooked different. So it was very different to use so much spices along with daals. 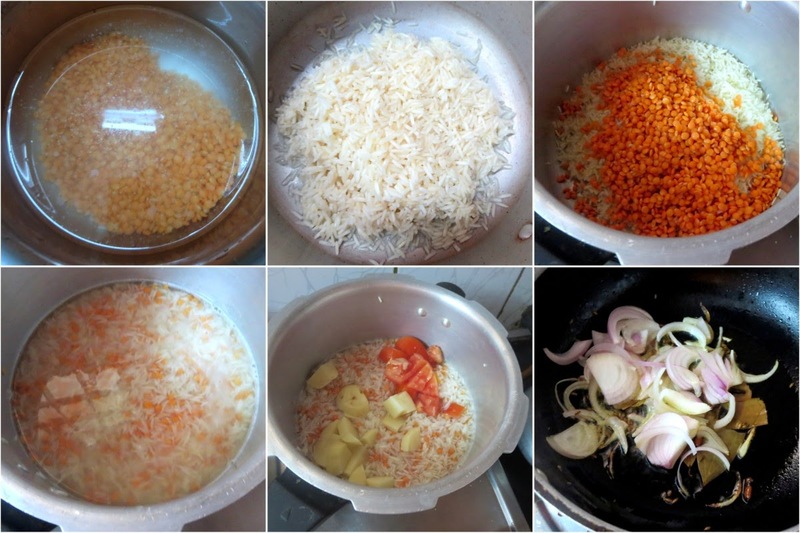 On the whole this rice turns out to be a good choice if you are looking for a good one pot meal. Wash and soak the rice and dal for 20 mins. Then take that in a pressure cooker along with chopped tomatoes and potatoes. Add 4 cups water and simmer. Meanwhile heat a non stick pan with ghee, add all the spices and saute well till done. Add this to the rice dal and combine everything well. Adjust the spice and cover with lid. Pressure cook for 3 whitles and switch off. 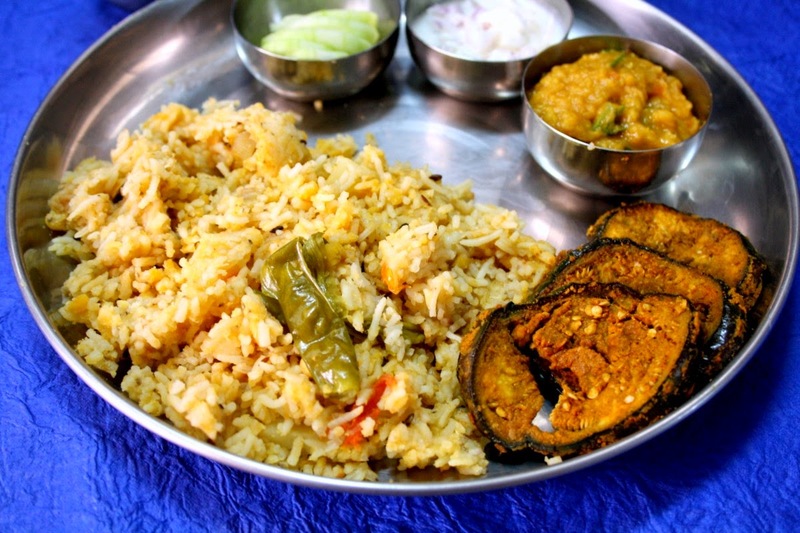 Such a hearty and delicious khichri Valli. Looks yummy!! 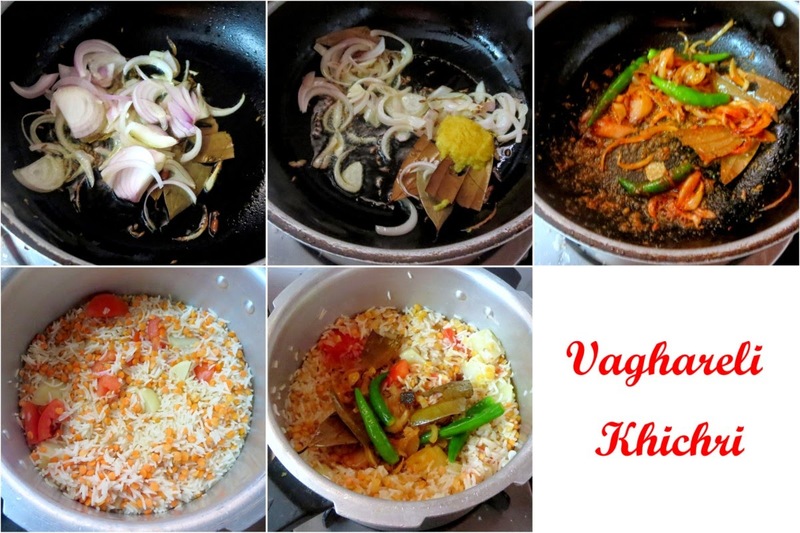 Making the kichiri in pressure cooker is sure to tempt me to try. Looks awesome Valli. A delicious one pot meal. I too am planning this for my turn. That is one tempting platter.I like all the dishes there.